When I press ⌃K, Keyboard Maestro sees it, and immediately sends ⌃- to whatever window happens to be frontmost. I created a similar shortcut for Delete Row, and can add more over time if I find other non-changeable shortcuts. You can choose from many different constraints for a macro group in Keyboard Maestro; my Excel group is set to be available only within Excel, and only when there’s a focused window. 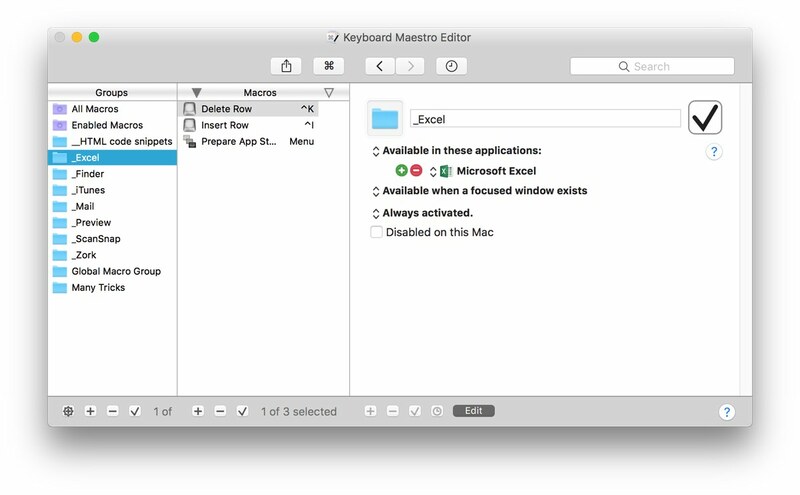 I don’t have direct experience with other macro tools, but whichever tool you use, make sure it allows you to restrict operations on at least a per-application basis, so you’re not creating global keyboard shortcuts. 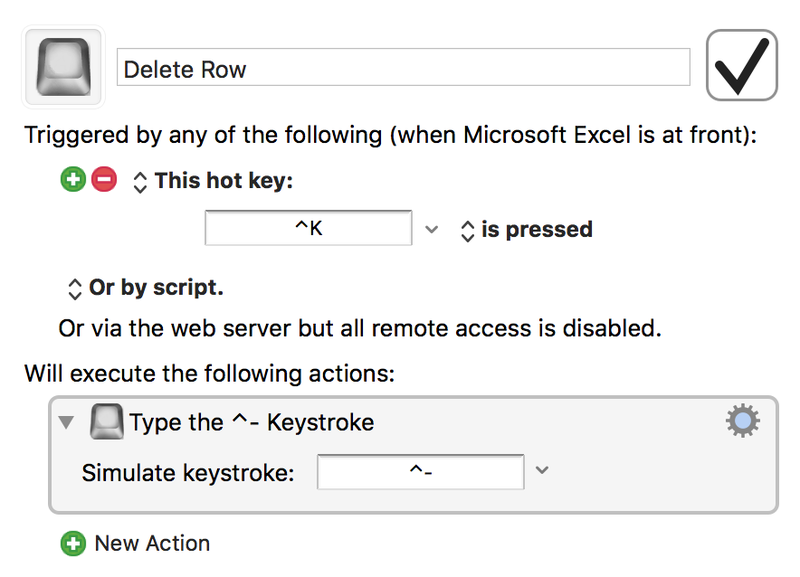 This is a relatively simple tip, but very effective—after years of typing ⌃I and ⌃K, it was hard to wrap my mind around the new Excel 365 shortcuts. Now I’ve got my old shortcuts back, and my fingers are much happier for it.